The vaping market has become popular worldwide. The number of vape shops has grown to fill the growing demand. These new vape shops don’t have the customer recognition that stores in longer-term markets have. This makes deciding where to shop a difficult decision. Vapor Galleria Franchise is one chain of vape shops that has been in the vaping industry for several years. With their years of industry experience, they have the knowledge vaping customers are looking for. Their vape shops not only sell high quality products but offer their customers a professional, upscale store environment. Vapor Galleria was founded by CEO Gerald (Ed) Williams in 2013. His idea was to create a chain of vape stores that would be different than the industry standards. 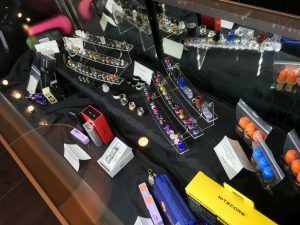 He wanted vape shops that had a more upscale, professional look and a lounge-like feel. In-house e-liquids and e-liquid tasting bars were some of the ways that helped create this overall ambiance. The focus of the franchise is to offer high quality sales and world class service. The Vapor Galleria franchise has their own e-liquids that are produced in their state-of-the-art manufacturing facility. With knowledgeable and fully trained technicians they can produce the highest quality product. Their manufacturing facility located in Oklahoma City is climate controlled, humidity controlled, fully ventilated and sealed from outside air to ensure high quality standards. The ingredients in the e-liquids are sourced from high-grade and FDA approved products. The base ingredients are USP propylene glycol and USP Kosher vegetable glycerin. The European Chemical Industry association states that propylene glycol (PG) has been safely used in many products for over 50 years. It is considered a low toxicity product and can be found in foods, medicines, cosmetics and other household items. Other ingredients used in creating e-liquids is flavor extracts and nicotine. The flavor extracts are sourced from the best food grade products available. The nicotine is pure and produced locally from within the United States. The e-liquids are steeped before bottling to enhance the depths of the flavors. 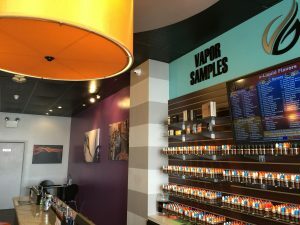 Vapor Galleria had over a hundred flavor profiles created for their e-juices when they opened. The e-liquid flavors are expansive from fruity such as grape, to savory such as New England cheesecake. There are five flavor groups including exotic, savory, fruity, tobacco and menthol. Propylene glycol and vegetable glycerin are used for the base mixture in the e-liquids for their combined smoothness that creates a base that enhances the flavors. The base of an e-liquid is usually a mix of the two, but there are several flavors that contain a higher level of the vegetable glycerin. To learn more about Vapor Galleria products and services come visit our Tyler Vape Shop. You can learn about and shop our selection of quality vaping products. Relax at our e-liquid tasting bar and enjoy the different flavors of our in-house manufactured e-juices. 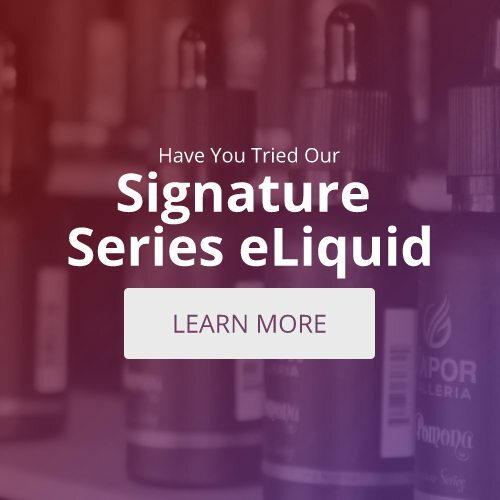 Our knowledgeable staff can guide you through the e-liquid products and flavors and assist you with finding the ones best fit all of your personal vaping needs.